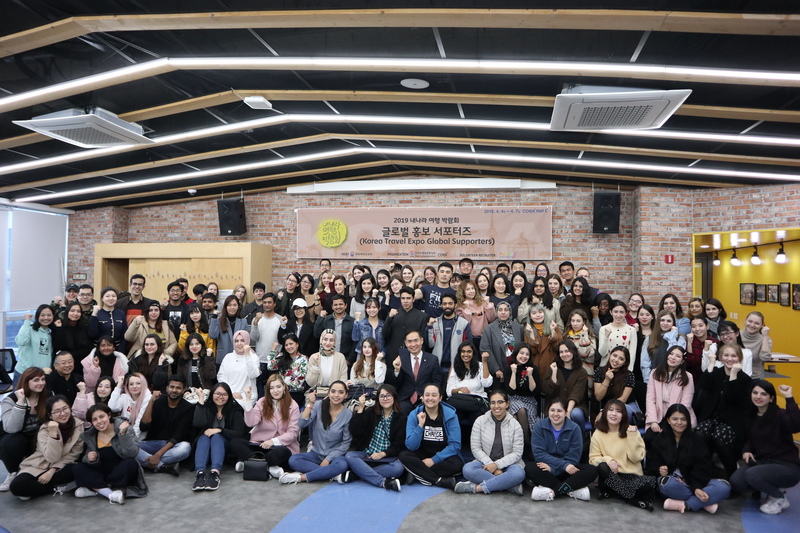 March 30th: During the Launching Ceremony, 118 foreign nationals were appointed as supporters of the Korea Travel EXPO 2019. 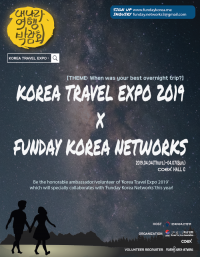 They were nominated with Letters of Appointment, pledging themselves to promote the Korea Travel EXPO and actively participate in it. 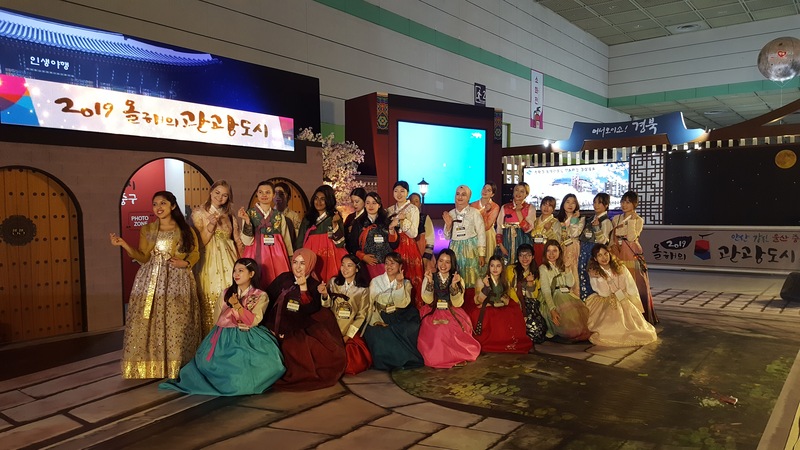 April 4th: Around 30 foreign nationals wearing hanbok (Korean traditional clothing) participated in the Korea Travel EXPO 2019 Opening Ceremony. 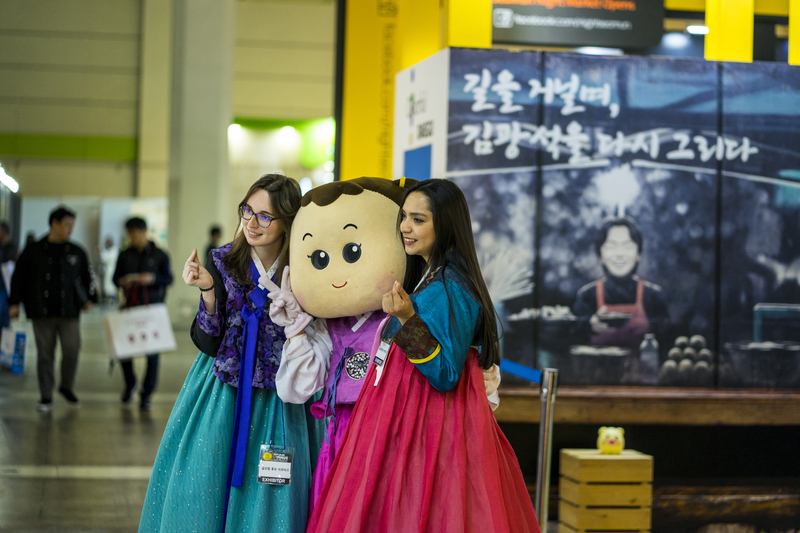 Supporters who participated in the ceremony guided guests through the EXPO. 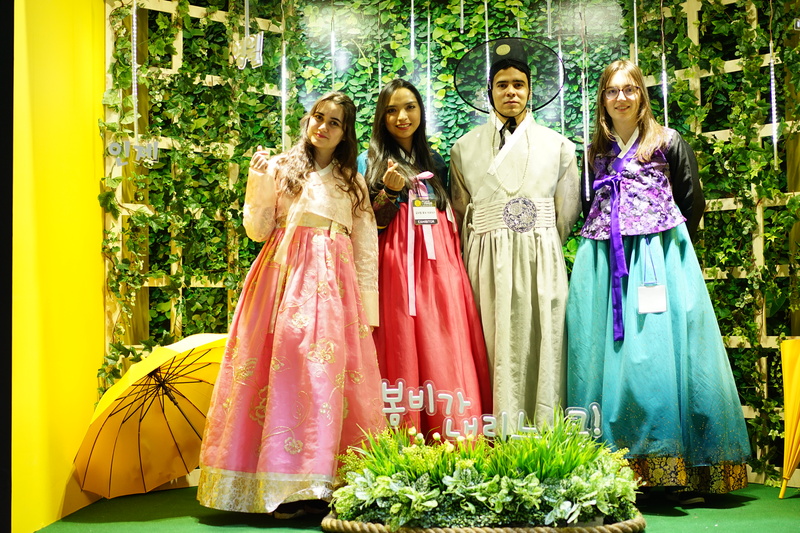 April 5th to April 7th: Supporters introduced the variety of wonderful travel destinations in Korea to many people. They promoted the EXPO by guiding foreign guests, and by making a lot of SNS posts. 3월 30일, 118명의 외국인 참가자들은 2019 내 나라 여행 박람회 서포터즈 임명 발대식을 통해 서포터즈로 임명되었습니다. 임명식 수여식과 서포터즈로서 내 나라 여행 박람회를 홍보하고, 열심히 참여하겠다는 다짐을 하였습니다. 4월 4일, 내 나라 여행 박람회에서 30여명의 서포터즈들은 전통 한복을 입고 개막식에 참석하였습니다. 개막식에 참석한 서포터즈들은 내빈들과 함께 박람회를 돌며 안내를 하였습니다. 한국의 다양하고 멋있는 여행지를 많은 사람들에게 알렸습니다.